On November 4, 2016 the Paris Agreement, reached during COP21 and signed by nearly 200 countries, went into force. This is the first enforceable accord setting targets to curb global carbon emissions with the goal of limiting global warming to no more than 2 degrees Celsius above pre-industrial levels. With the agreement now ‘official,’ the Global Renewable Fuels Alliance (GRFA) has once again called for biofuels to be integrated into governments’ plans to reach their climate goals. The transport sector is estimated to represent 25-30 percent of global emissions and currently has the lowest renewable energy share of any sector – opening up an area of opportunity for emission reductions. Baker says the use of ethanol as a carbon offsetting transport fuel alternative is a cost effective and immediately available option for action on emissions from this sector. According to GRFA, in 2014 total GHG emission reductions from global ethanol production and use was 169 million tons CO2 equivalent. 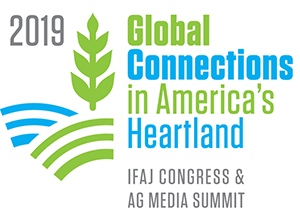 GRFA stresses that its members are committed to the fight against climate change through the development of new technologies and best practices that enable the production of renewable fuels with the smallest environmental footprint possible. These members have extended an offer to signatories of the Paris Agreement to provide expert and technical support to countries. To date, almost 60 countries already have biofuel-supportive policies in place and/or have included biofuels as part of their Intended National Determined Contributions (INDC) plans submitted during COP21.